When it comes to decorating small spaces people tend to make the same mistakes over and over again. If you’re living in a petite home think carefully before you decorate and don’t make any of these small space decorating mistakes. Color is wonderful, and if you live in a small space you can definitely use it. White and other light colors can certainly aid in making a small room feel bigger, but that shouldn’t necessarily be the goal in every small room. 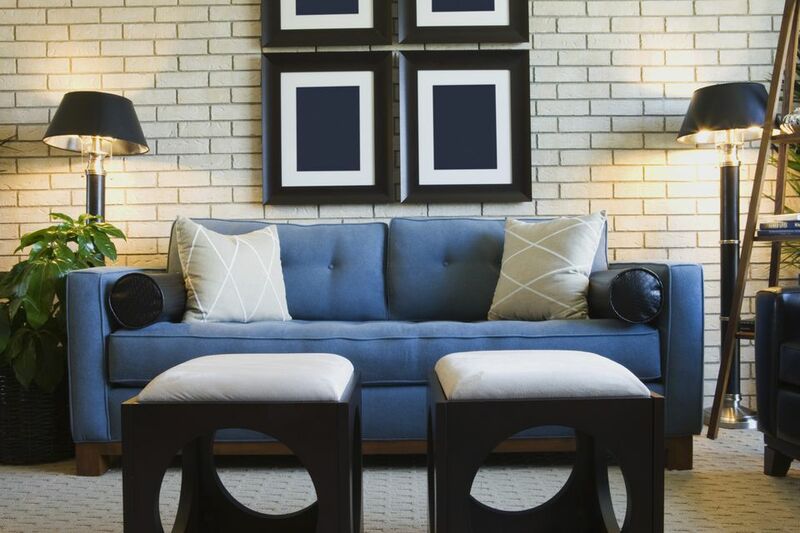 Dark colors can make rooms feel cozy while bright colors can make them feel energized. Much like color, people tend to shy away from patterns in small rooms. But no pattern can equal a very boring space if you’re not careful. Instead of ignoring pattern completely try it in simple ways. Don’t make a huge commitment like wallpaper and instead opt for simple, easy-to-change items like patterned pillows, a graphic area rug or pretty window treatments. And be sure to only use patterns you really love. One of the biggest mistakes people make in small spaces is cramming in too much furniture. While the rules tell us a sofa requires a coffee table in front and a side table at either end, in a small space this isn’t the case. Instead of trying to fit everything in, use your judgment based on the space. For instance, drop the side tables and opt for an ottoman with storage instead of a coffee table. A single side chair that folds up can give you extra seating when needed. When it comes to decorating small rooms get rid of excess small pieces and use only what’s needed. In small homes, every item and every space needs to do double duty. A living room can also be a guest room (pull-out sofa anyone? ), an ottoman can also be used for storage, an armoire with a pullout shelf can be used as an office/computer space – the list goes on. Before you bring anything into a small room consider the use and make sure it has at least two. Too many people rely on the walls to define spaces. While walls naturally define rooms, they can be very limiting. In an open space, you can use area rugs and furniture to do the job. A studio apartment can have defined living, dining and sleeping areas without walls. Consider area rugs to define living and dining areas and separate the sleeping area with a large shelf. Open shelving, in particular, is great because items can be accessed by either room. Decorative screens are also great for closing off sleeping areas. When decorating a small space don’t forget to look up. Shelving can go all the way to the ceiling to maximize space; artwork can be hung as high as you like (if it’s part of a grouping), and curtains should be hung right at ceiling height. Not only will you be making use of otherwise unused space, but you will make the ceiling look taller. When you live in a small space every bit counts so don’t be wasteful when it comes to vertical space.